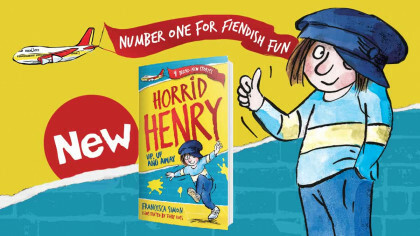 Find out more about the star of Jacqueline Wilson's new book! 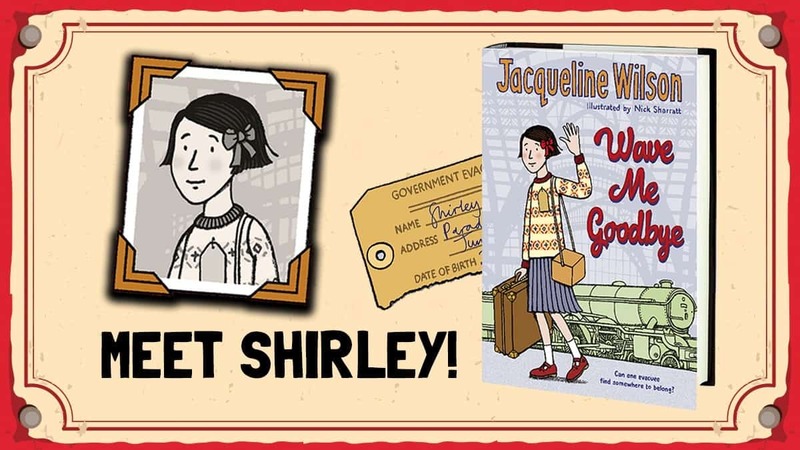 Wave Me Goodbye is Jacqueline Wilson’s latest book! Let’s meet its star, Shirley! Ten-year-old Shirley is woken by her Mum one morning in September, 1939. All she’s told is she’s going on ‘a little holiday’ and the next thing she knows, she’s on a train with her schoolmates. Shirley has never been on a train, or on holiday before! It sounds very exciting but Shirley knows Mum and Dad don’t have much money. Dad just went away as a solider to fight in World War II. At the outbreak of World War II, thousands of children from the UK were sent from big cities like London to the countryside. 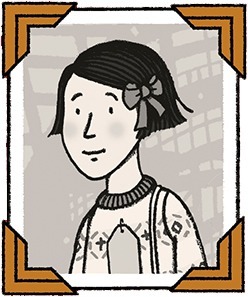 Shirley is an evacuee – she doesn’t know where she’s going, or what’s going to happen to her when she gets there. All she has is a small bag carrying her essentials: a gas mask, three of her favourite books (even though she was only meant to have one), her battered toys, and one outfit. Shirley is taken to London Victoria Station with her school class- away from Mum, and into the unknown. She arrives hours later in the country side and goes to live in a strange, half-empty ‘Red House’, with the mysterious and reclusive Mrs Waverley. There, she meets two boys from East End London, Kevin and Archie. What happens will change their lives forever. Click here to find out more the book! My nanny was born in 1940 and she was evacuated from Liverpool to Wales. I love hearing of her adventures and her cheeky little stories. I can’t wait to read this book. My nannys going to read it too.